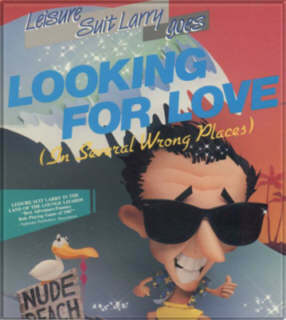 Leisure Suit Larry 2 « The MIDI Music Adventure Show! The Leisure Suit Larry Goes Looking for Love (in Several Wrong Places) soundtrack by Al Lowe, as recorded from the original Roland MT-32 score with Sound Canvas enhancements! Created exclusively for Quest Studios members. 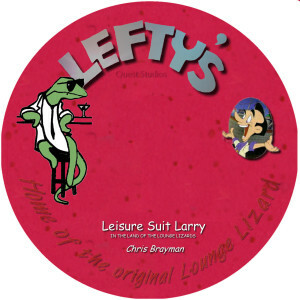 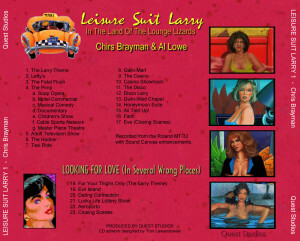 The CD cover artwork was designed to contain both the Leisure Suit Larry 1 and Leisure Suit Larry 2 soundtracks. 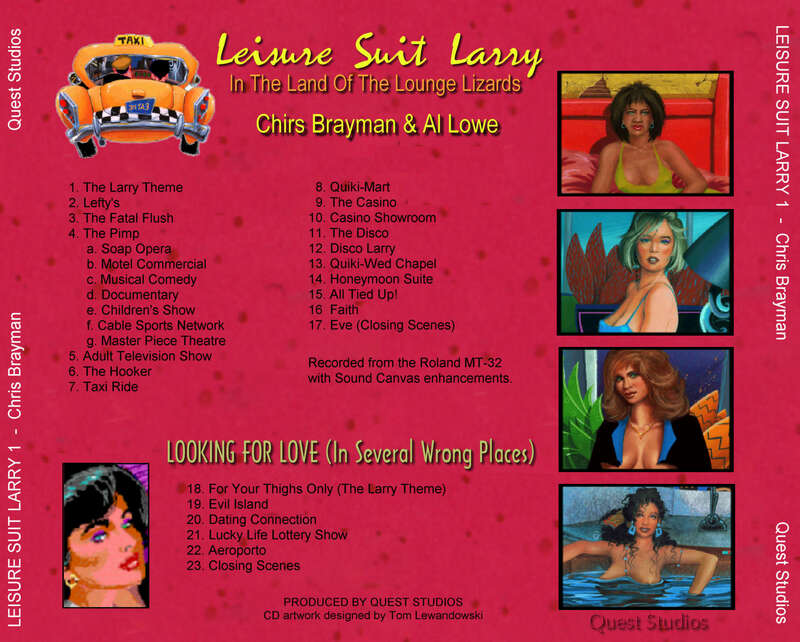 The CD artwork created for Leisure Suit Larry 2 was designed for a CD which contains both the Leisure Suit Larry 1 (as tracks 1-17) and Leisure Suit Larry 2 (as tracks 18-23) soundtracks.